At AES 2017, Eventide annouced the up and coming EuroDDL, the long awaited entry into the modular domain from the venerable effects pioneers. It's been a long time in the making and the EuroDDL seems to tick all the boxes. 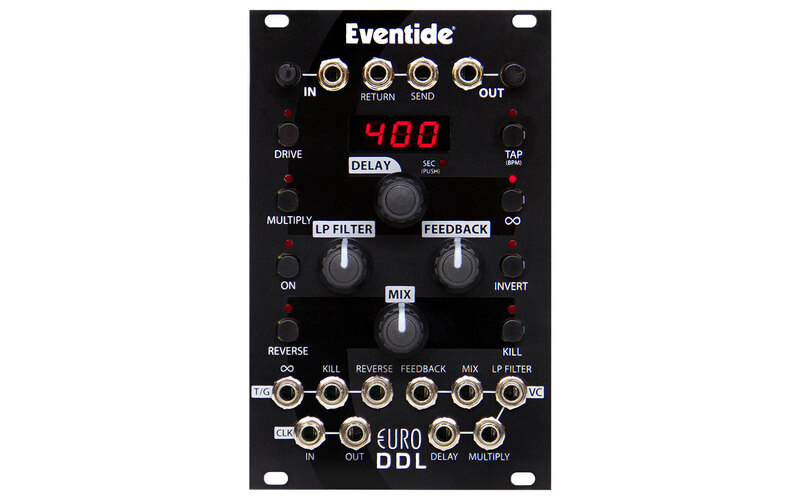 It neatly integrates the DDL delay algorithms Eventide have become well known for, whilst staying true to the core concepts of modular. A simple digital design with some analogue flavour, the DDL seamlessly integrates both Digital and Analogue circuitry together to create something truly unique. A super lush, high quality (up to 192kHz!) delay line with an equally lush analogue low pass filter and an analogue drive circuit. Despite this being Eventide's first venture into the modular format, they've really gone all out to make sure there's all the bells and whistles Euro-dudes have come to expect. There's up to 160 seconds of delay time available at lower quality, reverse and loop modes and the aforementioned low pass filter. Combine the loop mode with an external clock and you've got a really nice loop module in your hands, coupled with the low pass and the mix control and you have a really great tool for building sequences, looping them and cross fading between the two. Or you can just use it as a gnarly delay. 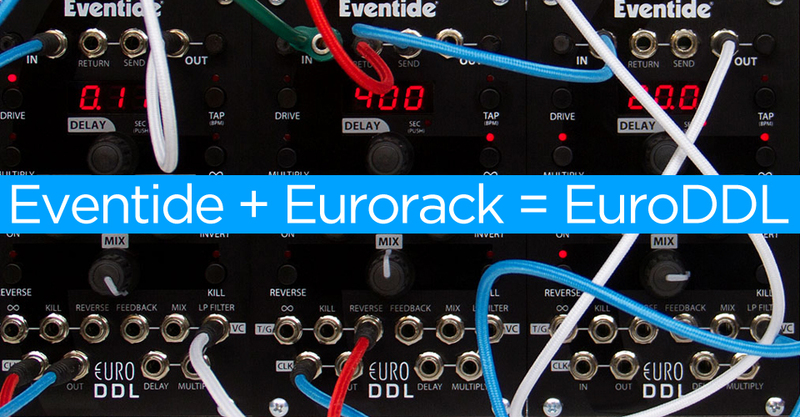 Euro DDL can be clocked internally with a tap tempo or externally with any form of trigger or gate of your choice, there's also a gate pass through so you can share the clock signal without having to multiply it. At just £399 it's cheap, and not only would it fair well for modular systems, but I can personally see this being quite a handy tool in a studio environment where you need the absolute best delay with hands-on control. It's available to pre-order now and is expected in early 2018. For more info contact our in house synth guru Tom Lewis (me).